The Multi-sides tent with varied and flexible features can create a special and fashional atmosphere for all kind of business exhibitions, product launches and promotions, and advertising campaigns. The diameter of the tent is from 6m to 60m,optional sidewall is g lass wall, ABS wall, PVC sidewall. 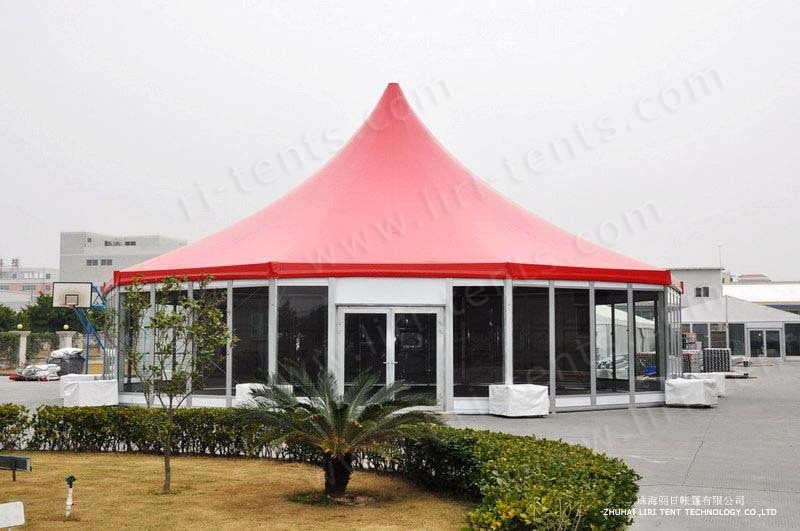 The tent can be widely used for outdoor wedding, party, event, function, exhibition, living room, trade show & fair, all kinds of festivals, sports events, conference events, hotels reception, banquet, catering, temporary dormitory, emergency school/hospital, military base building structures, etc. Your convenience is our main concern,your satisfaction is our aim. 3. After sale service is always available, we maintain very good reputation all over the world, and we offer after sale service to our clients, like installation instructions, replacement of flaw parts, upgrade of tents, renew tent parts, tent warehousing guidance, etc. 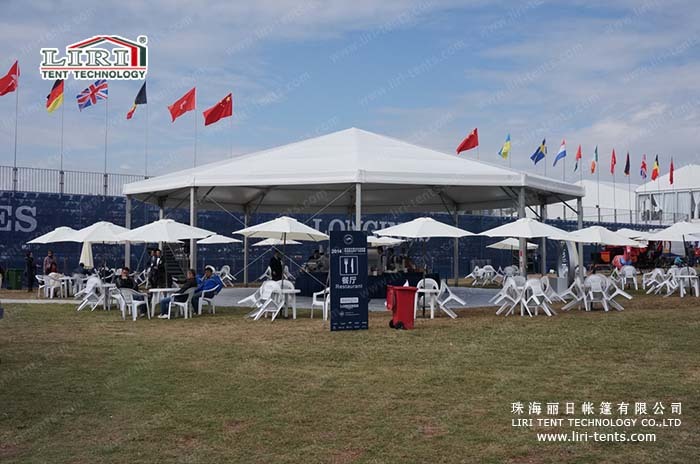 Established in 1997, has 17 years experience, Zhuhai Liri Tent Technology Co.,ltd is a leading Chinese company in manufacturing, selling, and renting of aluminum structure tents systems. Our products have been exported throughout the world to over 97 countries and made tents for big international projects, and won great reputation. All of our operations are strictly conducted in accordance with the IOS 9001:2008quality control standards. The manufacturing of our tent series are strictly based on the European safety standard.